All applicants are required to supply all required information on all applications. These applications must be delivered electronically to the foundation by April 30, 2019. Applicants will be notified about the results of their application by June 30, 2019. The Henry and Sylvia Yaschik Foundation is a non-profit charitable foundation based in Charleston, South Carolina. The Foundation, created as a bequest in the estates of Henry and Sylvia Yaschik, is committed to sustaining both the secular and the Jewish values that the Yaschiks embraced and supported in their lifetimes. 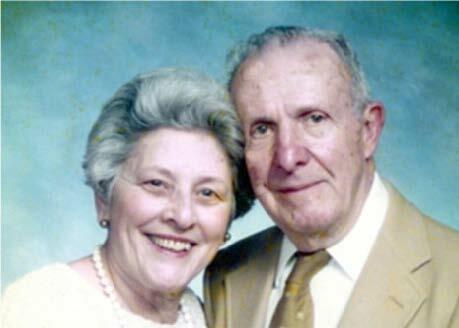 Long-time residents of Charleston, South Carolina, Sylvia and Henry were enormously grateful for the opportunities afforded to them, and they wanted to make sure that their legacy of charity and philanthropy continued even after their deaths. Henry Yaschik was born in Argentina, returned to Poland shortly thereafter, then came to Charleston as a young child in 1913. Sylvia was born in New York, met Henry on a blind date, and relocated to Charleston after a short courtship. At first, Sylvia worked as a bookkeeper for Breakstone Dairy while Henry worked in the family grocery business on Coming and Spring Streets. Henry moved into the real estate and mortgage business, establishing successful companies that are flourishing to this day. Sylvia was a stay-at-home mom, raising Ann (Chana), Marsha, and Bonnie. Henry and Sylvia served on boards of numerous organizations including Hadassah, BSBI, the Charleston Jewish Federation, and the National Council of Jewish Women. Although Henry graduated from the High School of Charleston, he was not able to attend college. Joking that he graduated from the “school of hard knocks,” he was given an honorary doctorate by the College of Charleston in 1992. He had an incredible love of learning and was committed to the continuation of the Jewish tradition. Henry and Sylvia were deeply committed to “giving back” and established a large philanthropic foundation in their estate. The Henry and Sylvia Yaschik Foundation awards grants to qualified charities that serve the greater Charleston, South Carolina area. 2014 Henry & Sylvia Yaschik Foundation | All Rights Reserved.